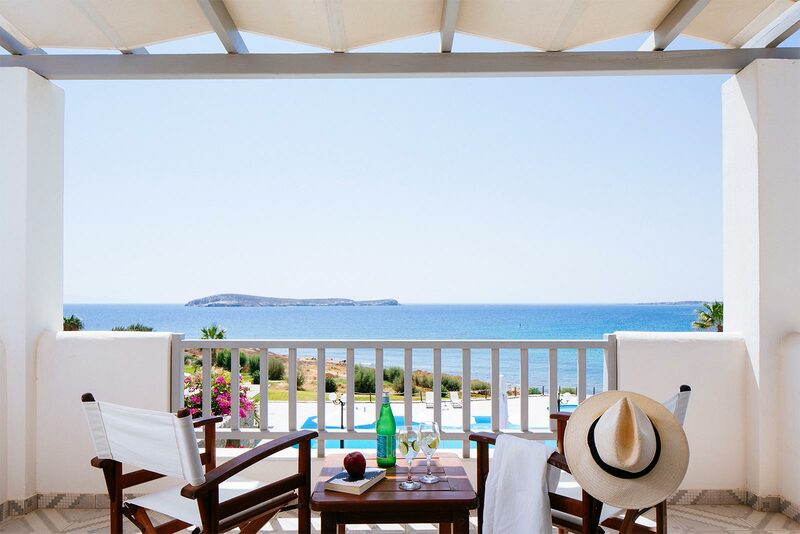 Our amazing Escapes are heading to the Greek Islands in 2019. Paros is one of the most popular islands of Cyclades in the heart of the Aegean Sea. It offers golden sanded beaches with crystal clear waters, all types of watersports, wonderful traditional villages, picturesque scenery with whitewashed houses with blue windows and doors, beautiful bars, intense nightlife, and of course exceptional greek food. Chrissi Akti or Golden Beach, where we will be located, is on the south eastern side and the wind there makes it perfect for windsurfing and sailing. Villa Accommodation – 3 large villas with 2 pools. The villa complex is where the training and the meals will be held.